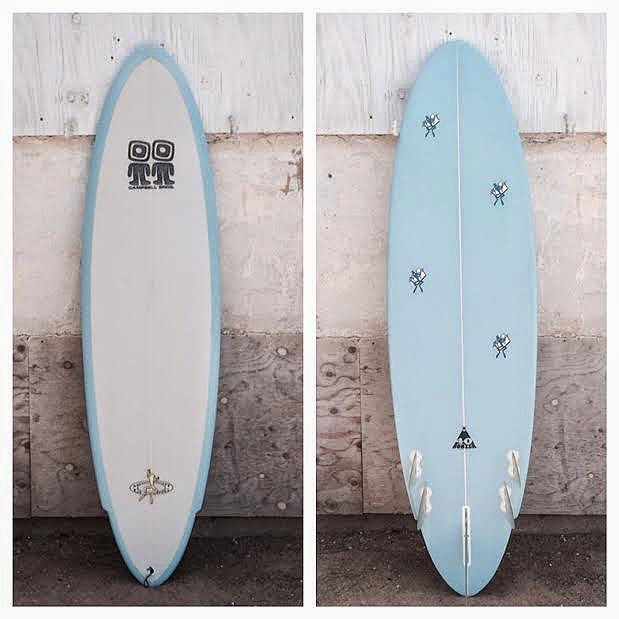 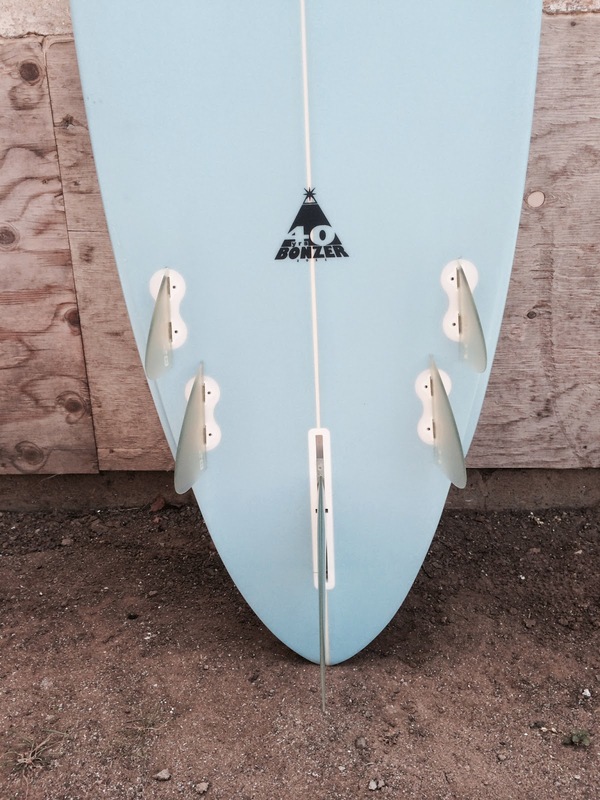 Shaped by Malcolm Campbell for Surfy Surfy Surf Shop. 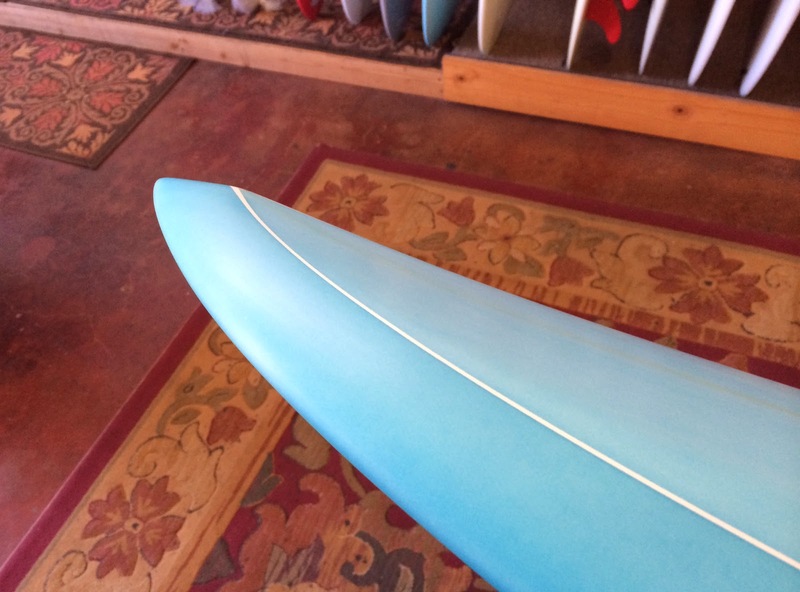 Nice resin tint w/rear foot patch. 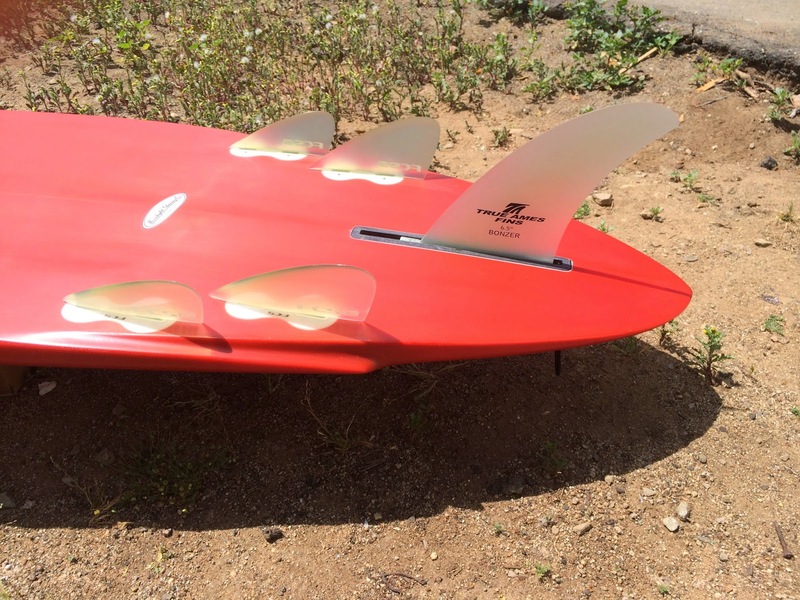 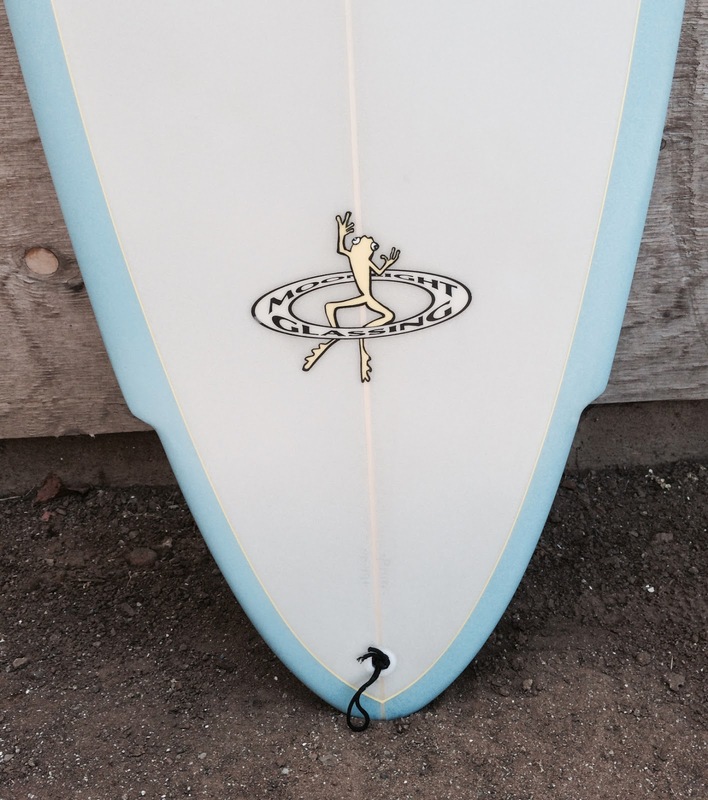 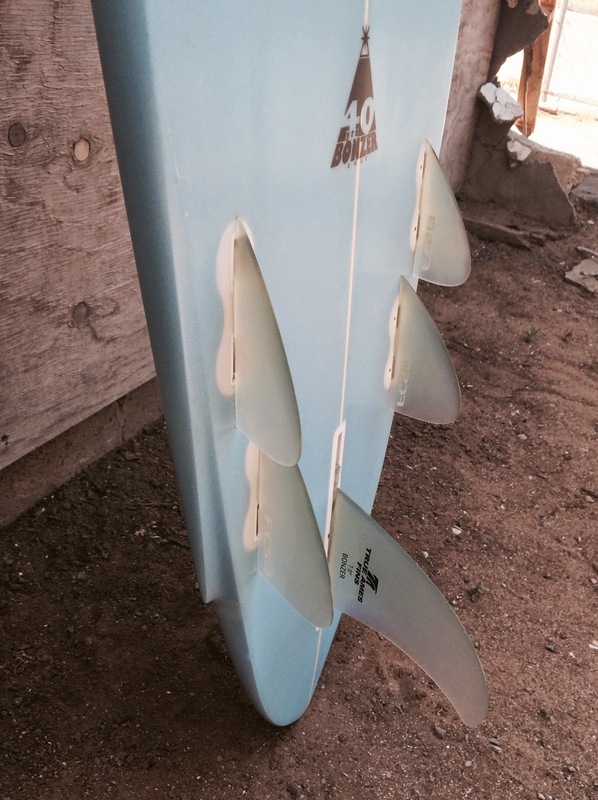 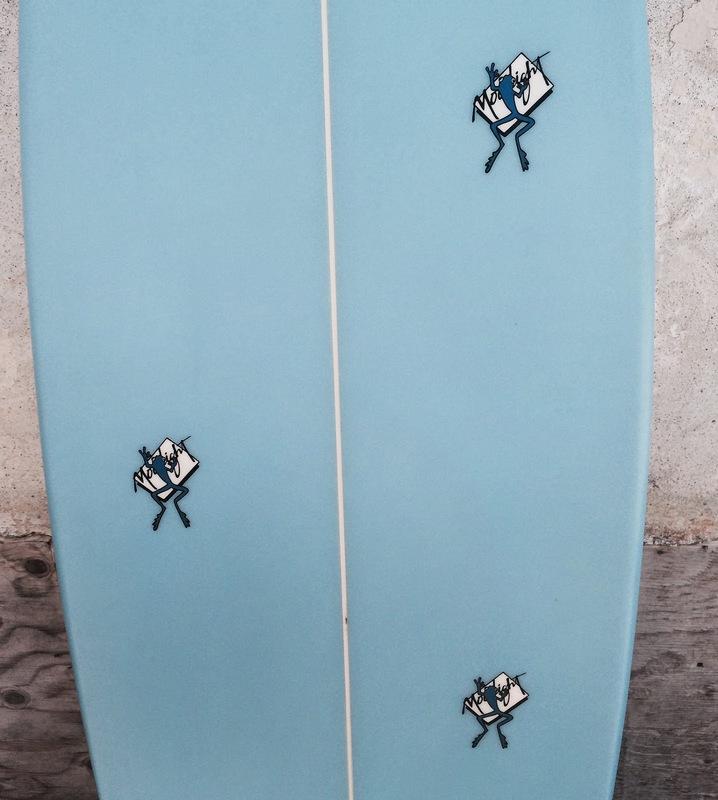 The 3 fin Bonzer Bumblebee is a staple of the Surfy’verse quiver. 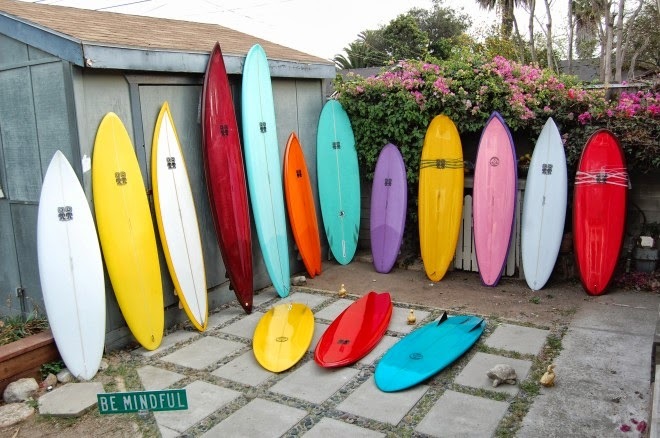 *we pack and ship surfboards domestic and internationally. 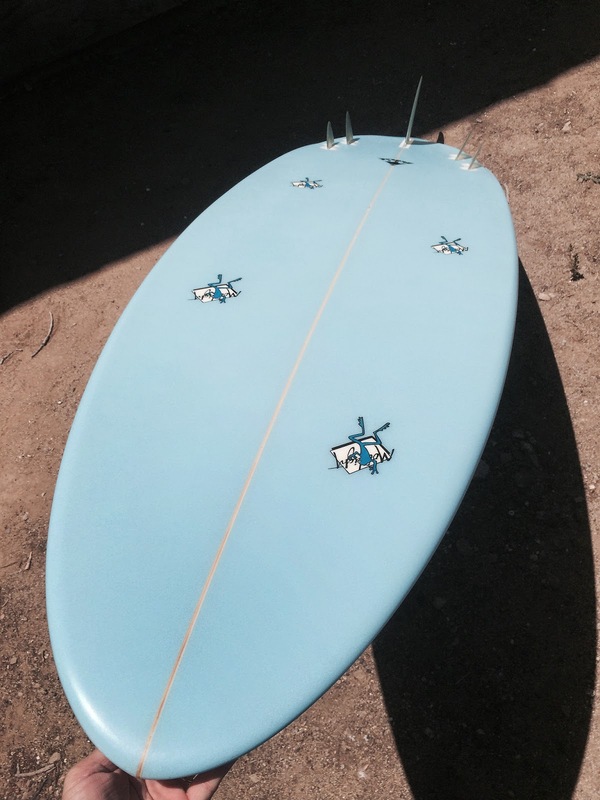 Malcolm Campbell is currently in California shaping stock and custom Bonzers. 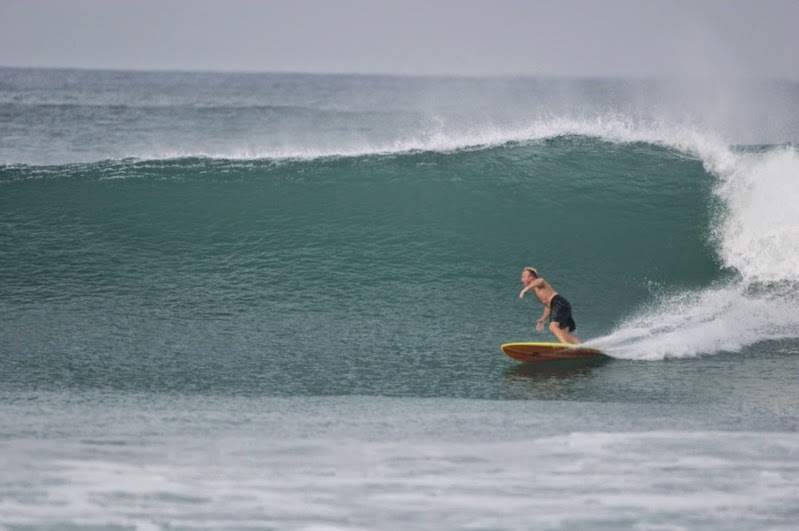 Soon he is leaving his humble shaping abode in Oxnard, CA and heading across ‘the pond’ to rendezvous with the UWL boys in France and Guy Penwarden and the crew at Laminations in Cornwall, England. 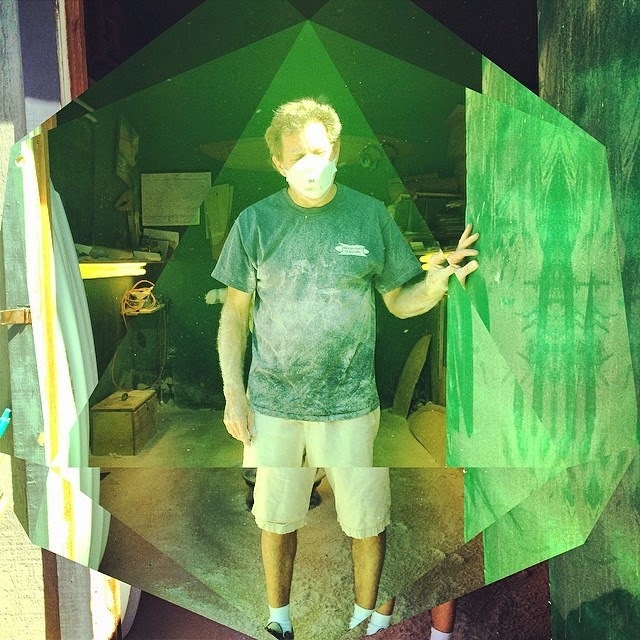 He will be shaping at UWL from May 2nd to May 14th. 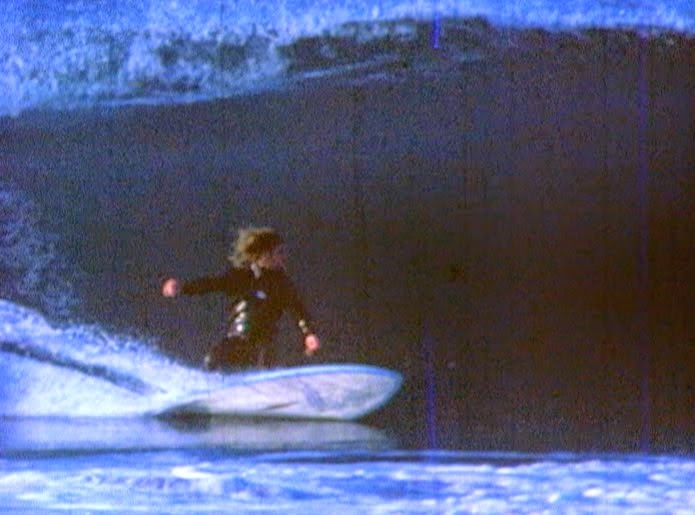 England from May 16th to the 30th. 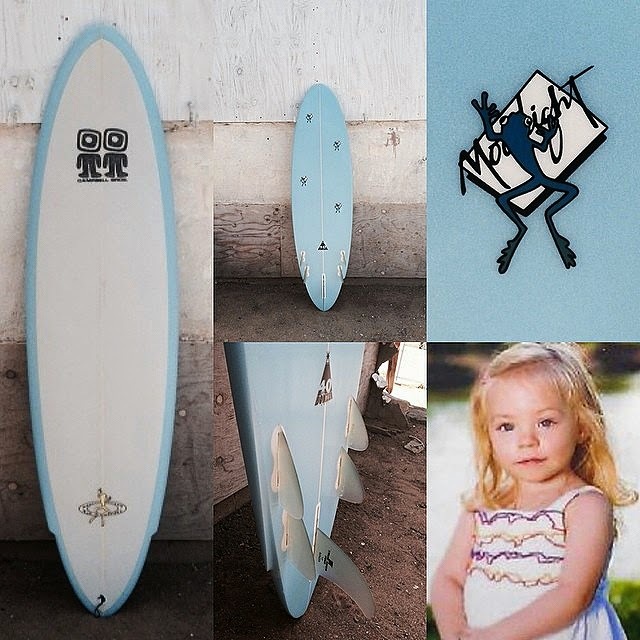 Then heading to Portugal around June 18th to work with Manila at MSD Surfboards. 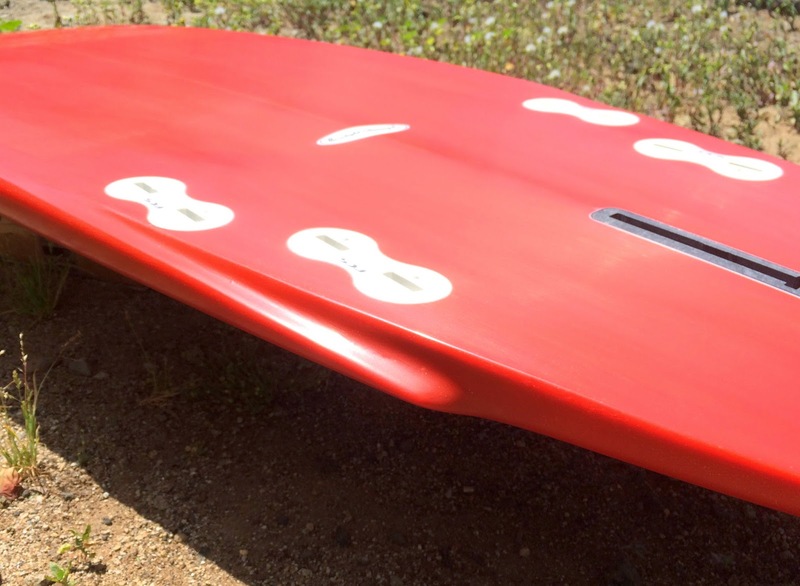 If you currently have a Bonzer on order, rest assured it is in production and in good hands. 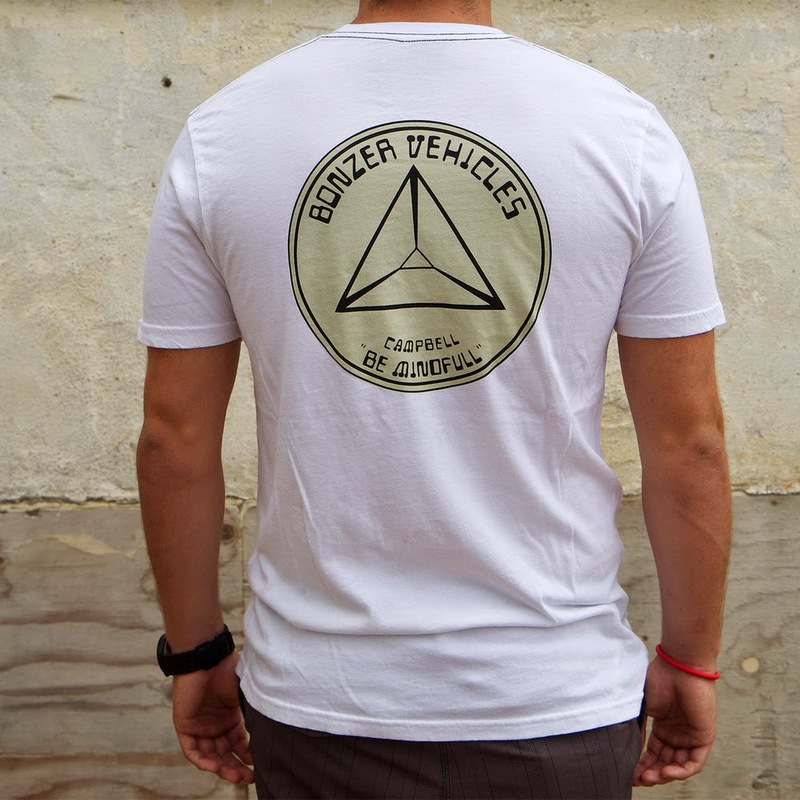 Surfy Surfy will have limited Bonzer stock available this summer. 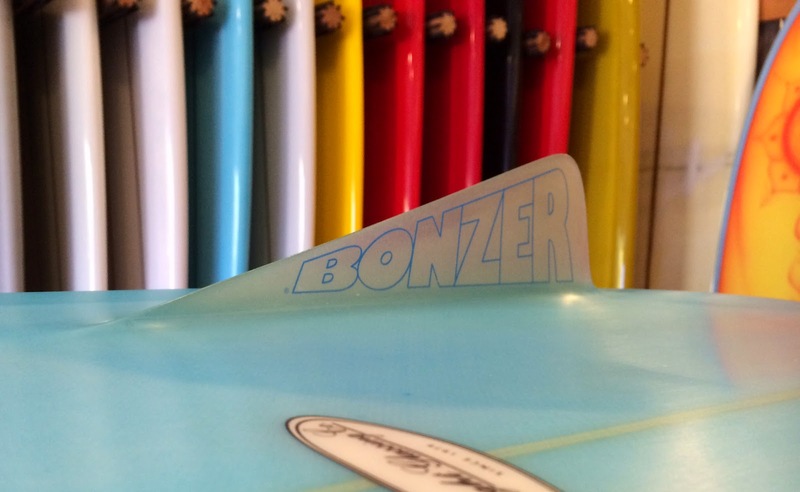 If you see a Bonzer for sale in your wheelhouse don’t hesitate to pick it up.